Our gift to you! 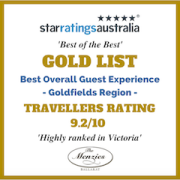 Book directly, either on-line via The Menzies website or by phone and a Complimentary Continental Breakfast can be yours! Simply mention this offer at check-in and a special menu will be offered. Select your preferences and hand into Reception and a night tray will be delivered to your room. So easy – and such a considerable saving. Complimentary breakfasts are NOT automatically supplied – consider them ‘yours for the asking’! Spoil yourselves and top off your special day by spending a memorable wedding night in luxury – return from the festivities of the day and relax in a full-size 2 person spa topped off with luxurious amenities and finally sink into a sumptuous king bed. How blissful! Wake to a delightful breakfast served to your room – perhaps even imbibing in a champagne to toast your first morning as a married couple? It doesn’t get any better…..
Breakfast and a late checkout. Book your stay at least 7 days in advance of your arrival and save up to 10% discount. Summer is a great time to come to Ballarat – especially over the school holiday period when there’s lots to see and do, and right now the earlier you book the more you save! *Terms and conditions apply. Rates are payable at time of reservation and are non-exchangeable, non-refundable and non transferable. Choose an accommodation Gift Voucher – available to the dollar value you specify so the recipient can use towards creating their own experience. 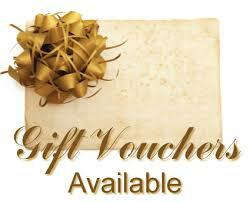 Beautifully presented, a Gift Voucher from The Menzies is sure to delight. The perfect thank you, birthday, anniversary, Mother’s Day or Christmas gift.